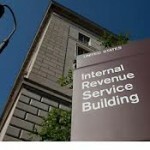 So what will happen to me if I don’t file a return or contact the IRS? The IRS will file a substitute return for you. But this return is based only on information the IRS has from other sources. Thus, if the IRS prepares this substitute return, it will not include any additional exemptions or expenses you may be entitled to and may overstate your real tax liability. Once the tax is assessed the IRS will start the collection process, which can include placing a levy on wages or bank accounts or filing a federal tax lien against your property. Even if the IRS has already filed a substitute return, it still makes sense for you to file your own return to make sure you take advantage of all the exemptions, credits, and deductions you are allowed. The IRS will generally adjust your account to reflect the correct figures. Whatever you do, don’t delay. It can cost you money. You stand to lose social security benefits on income from self-employment. The Social Security Administration relies on information from your filed tax return to calculate social security benefits. For your income to be reported to the Social Security Administration, you must file a tax return. These are important practical reasons for filing your return: Copies of filed tax returns must be submitted to financial institutions, mortgage lenders/brokers, etc. whenever you want to buy or refinance a home, get a loan for a business, or apply for federal aid for higher education. If you have back returns, such as multiple year unfiled returns, you are at risk for these SFR returns ensuing. You will then be in the collection process. 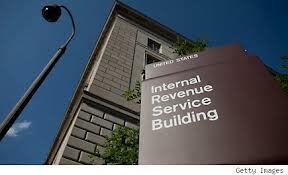 Ignoring back tax problems and unfiled tax returns will likely lead to IRS tax problems that do not go away on their own. Lefstein-Suchoff CPA & Associates helps individuals and businesses file delinquent tax returns and replace SFR returns prepared by the IRS. We can facilitate the tax preparation for any year, entity, or State. This entry was posted in IRS SFR - Substitute Filed Returns and tagged Back Taxes, IRS Substitute for Returns, IRS Tax Problems, SFR Returns, Unfiled Returns. Bookmark the permalink.